Half the battle with frequent flyer points are finding the seats you want for your trip and using your points for your ideal travel goal. In this introductory guide I’ll run through how I search for Virgin Australia ‘award’ availability (awards are the seats made available to frequent flyer members to book using their points). 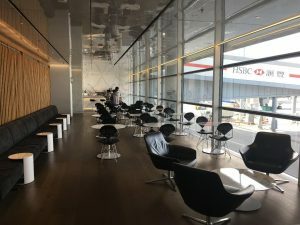 I’ll also cover some of the details worth knowing when trying to redeem points for awards for travel on Virgin Australia – fees, policies and some other tips. 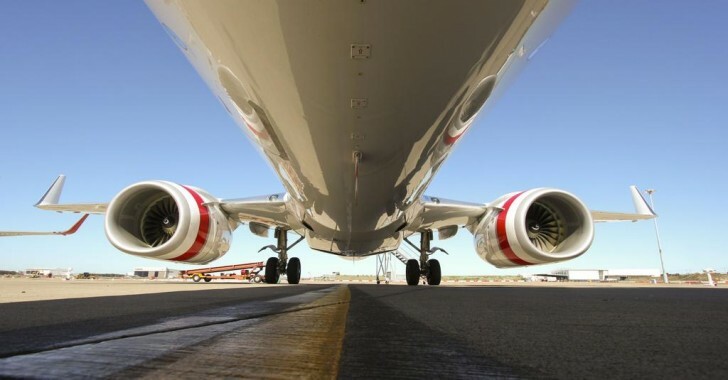 Velocity Points are one of the few points currencies you can use on Virgin Australia flights, and as a result there aren’t too many ways to search for availability other than looking at the Virgin Australi website. You’ll need to select the “Use Points + Pay” checkbox on the site, and helpfully you can search without being logged into your Velocity account. From here, you’ll then get a day by day view of availability for a week around your chosen date, and it’s easy to flick through different days to see what’s available. You want to ensure you are looking for the lower cost ‘Premium Reward’ (for Premium Economy) or ‘Business Reward’ (for Business Class) – both shown as sold out in the screenshot below. The other prices to the right are essentially exchanging your points at a fixed rate for a paid airfare, which unless you have millions of points, is not going to be a usable option for most people. 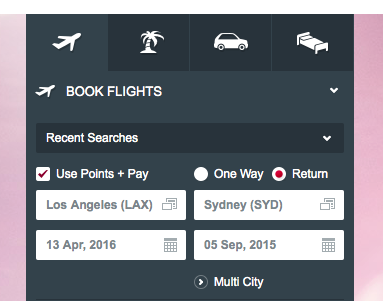 You can also search for Virgin Australia award availability on Delta.com as a Delta Skymiles member (free to join). 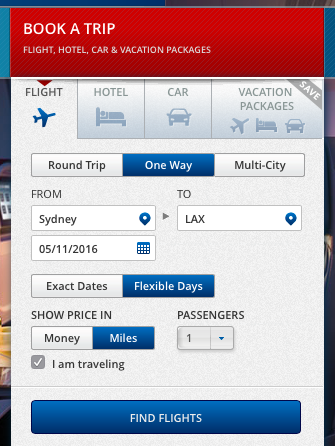 Once logged in, you need to select “Show price in miles” and “Flexible Days” (if that suits) for maximum utility. On the results that show, you can then tweak to a 5 week view, looking for ‘First/Business’ and nonstop. You will see Delta and Virgin Australia results together, but you want to look for the days where you see availability at the 80,000 point level – these are partner awards on Virgin, rather than the direct flight on Delta. You can also quickly scrub through the months of the year using the month selector above the results. Then you can drill into the availability for that day, and confirm it’s being operated by Virgin. Delta.com could also be useful for award availability on domestic flights, but availability is usually good enough that you don’t need a month view to find the flights you’re after, and in that case, the Virgin Australia site is more useful as you’ll get the correct pricing and can make your booking immediately if you see the flights to suit. 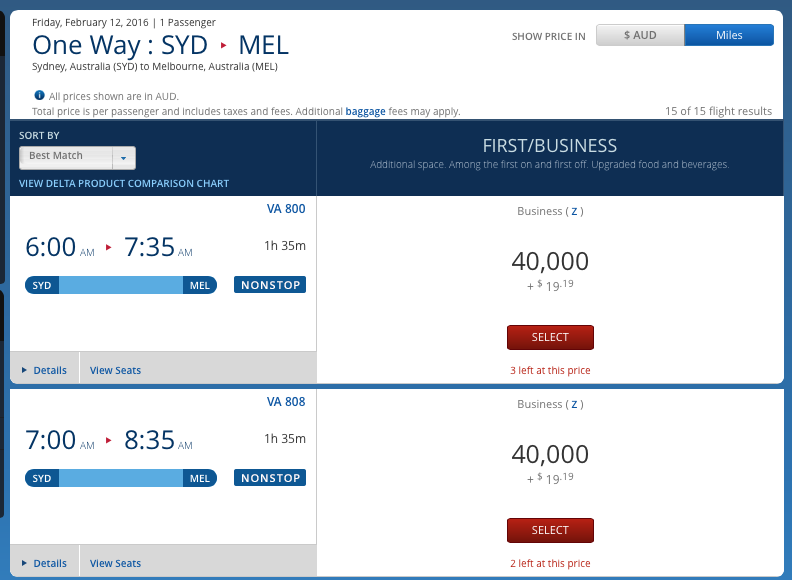 What’s the earliest you can search for award seats on Virgin Australia flights? 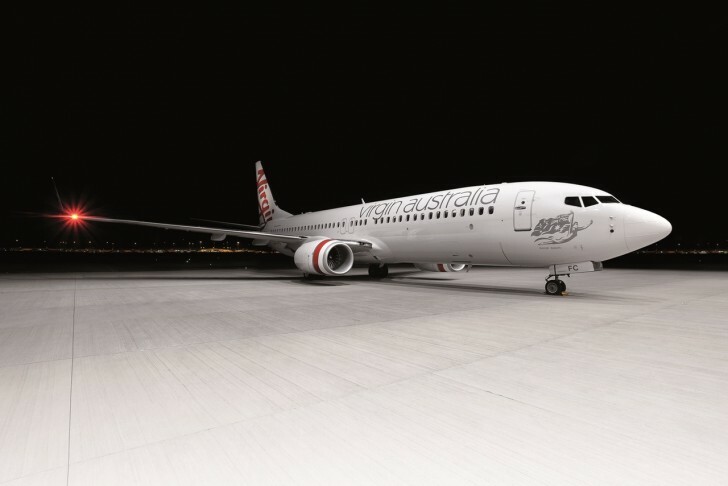 The Virgin Australia booking calendar ‘opens’ 330 days from the current date – I believe either at midnight or in the early hours of the morning, AEST. With Virgin’s current issues around international award availability, there’s no guarantee that award seats will be made available on long-haul international flights at 330 days, but domestically and for short haul you will usually find them at this time. 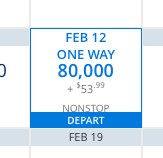 Of course seats can be made available at any time prior to departure, not just from 330 days away – so it’s worth checking back on award availability every so often in case you didn’t find seats first time around. I actually find searching for Virgin Australia award seats a pleasure on their site compared to some of their competitors. It’s missing a big calendar view of availability, and you’re fixed to click through day by day but at least it’s fast. You are also shown Premium Economy and Business Class availability on one screen, which saves a fair bit of time, and Virgin Australia’s flights are prioritised in the results where partners are also available on a route. A unique feature of Velocity is their ability to open up award seats for Gold and Platinum members, on request. If you’re booking anytime up to 6 months before a trip, just call up Velocity and ask them to look into this for you – this applies for Economy award seats only. Velocity charges you taxes on top of the points you’ll pay, and these are usually pretty reasonable, especially compared to the competition. You are offered the chance of paying the fees using points or using cash – using points to offset the cash is almost always a bad deal, with a redemption rate of less than 1c per point. If you are points-rich then you might prefer to use it, but otherwise I’d advise against. If you decide to use cash to pay the accompanying fees, if this is over $50 per person and you want to pay by credit or debit card, a booking service fee is also applied. This is $7.70 per person, per booking, for Virgin Australia domestic flights, $10 for Virgin Australia international short-haul flights (e.g. to Bali, New Zealand or Fiji) and $30 (again, per person, per booking) for Virgin Australia international long-haul flights, and those operated by partner airlines such as Singapore Airlines or Etihad. If you make your booking over the phone for Virgin Australia operated flights, you’ll be charged an extra $35, or 4,500 points per person for domestic and international short-haul, and $60 or 7,500 points per person for international long-haul and partner bookings. Again, the rate on offer is such that you should pay the cash, instead of the points. If you find availability that might work for you, my advice is always to lock it in when you see it in case someone else snags the seats you were after. Points redemption bookings are much more flexible than most paid tickets, and Velocity is no different – it will cost you $35 or 4,500 points per person to cancel a domestic booking, or 7,500 points or $60 per person to cancel an international booking. Furthermore, if your booking is to/from or includes the US in any way, you can cancel your award booking up to 24 hours after you made it without any penalties applied – call the call centre to do this. That’s in the terms here. The full list of fees and policies for Velocity award bookings are here. If you do decide to cancel a ticket booked using Velocity points, you’ll need to do that no later than 24 hours before your departure time. If you want to change anything more than the date or time of your flights, then you will be charged the same fee as a cancellation. Essentially you are cancelling your existing flight, and booking a new one. The Velocity call centre are generally staffed by a helpful, well-informed team who can do all the research you need over the phone with them. You can get hold of them at 13 18 75 in Australia. My preference is to do my own research online so I know I have exhausted as many options as possible to find the seats I want on the dates that will work for me. However you could equally call them and brief them on your requirements, and see what they come back with. If you go through and make the booking with them, you’ll of course be charged the fees outlined above. Velocity only charge you for the additional taxes and fees for a lap infant (with no seat) on international flights, and no additional points. For domestic flights there’s no additional charge at all. Children are charged at full adult rate (in terms of the cost of the ticket in points). If you want to book a seat for a child under 2 years old, you’ll be charged the adult rate (in points) too, but this can’t be booked online. You’ll need to call the call centre (I have done this a few times and it’s never as simple as you’d hope) and have them do this for you, and they should waive the call centre booking fee as it can’t be done online. Will I be able to upgrade a Velocity points redemption ticket? Put simply, no, you can’t upgrade any points redemption tickets using more points. Do you earn points or status credits on Velocity redemptions? Again, no – not unless there’s a specific promotion running that offers this and you book within the terms of that promotion. What luggage allowances do you receive with Velocity points bookings domestically? When booking domestic Economy flights, you’ll get a minimum of a single piece of 23kg luggage included as a Velocity ‘red’ member with no status. For silver and above, your status benefits for luggage will be respected on award seats. For flights to the US, you’ll get 2 pieces of luggage at 23kg, and to Abu Dhabi, one piece at 30kg. In case this changes, the current checked baggage policies are here. I find that searching availability through the Virgin Australia website is simple enough that I don’t often need to turn to Delta, but it’s useful to know it’s there in case you do need to more wider ranging date searches. I think Velocity’s cancellation fees and policies are very reasonable, and I much prefer being able to pay cancellation fees in cash, instead of points (unlike Qantas). I hope this helps getting you started with using your Velocity points! I am Platinum with Velocity and I have just booked a guaranteed reward seat booking at Christmas time for myself and my wife. It was a code share flight, so Virgin booked with Singapore Airlines. As it is a busy time, there was not any availability. On the ticket Virgin sent me, it had shown they paid for the ticket with a credit card. I then checked the ticket information through the Singapore Airlines website and it shows the tickets as being in classes that would normally attract SC etc. Do you think these fares will collect points as it seems Virgin bought them from Singapore Airlines using a credit card as there was no availability and to follow through with their guaranteed family reward seats for Platinum FF? Hi Mark, I’m Daniel, the editor for Point Hacks NZ. With this one, I think you’ll just need to wait and see. I know that with Malaysia Airlines Enrich you can purchase miles + pay seats, and they are assigned a class that would usually earn SCs and miles, however in reality they do not. You could ask Virgin / Singapore? Be sure to turn left at the front desk for a relaxing shower, great coffee, and some solitude.